Ballina Salmon Festival kicks off, 8th – 15th July featuring some great ‘free to attend’ events and activities for all the family. Specially for kids, there’s “Come Try It” (for ages 12+) with Moy Canoe Club in Cathedral Road on Opening Day from 11am- 1pm, Sunday 8th July as well as a Children’s Fishing Competition (for all ages) on the penultimate day of the festival, from 11am to 1pm Saturday 15th July to complete the eight day festival week. Full details of free events for Kids are available on the Ballina Salmon Festival website. For the musically inclined, on Opening Day, Sunday 8th July, there’s live music with The Kerbs and The Bog O’Loughs in the Town Centre at the Post Office main stage starting at 8pm. More free Live Music during the festival week at “The Core Stage” Jackie Clarke Collection on Monday, Tuesday, Thursday and Friday from 12:30 – 2pm on each of those days. Support the Festival Busking competition, as it features musicians and singers entertaining the crowds every day in down town Ballina from Monday 9th July with the final, featuring the top 3 busking acts being judged and the ultimate winner being announced on Saturday night, 14th July on the Busking Stage from 7.30pm in the Market Square. 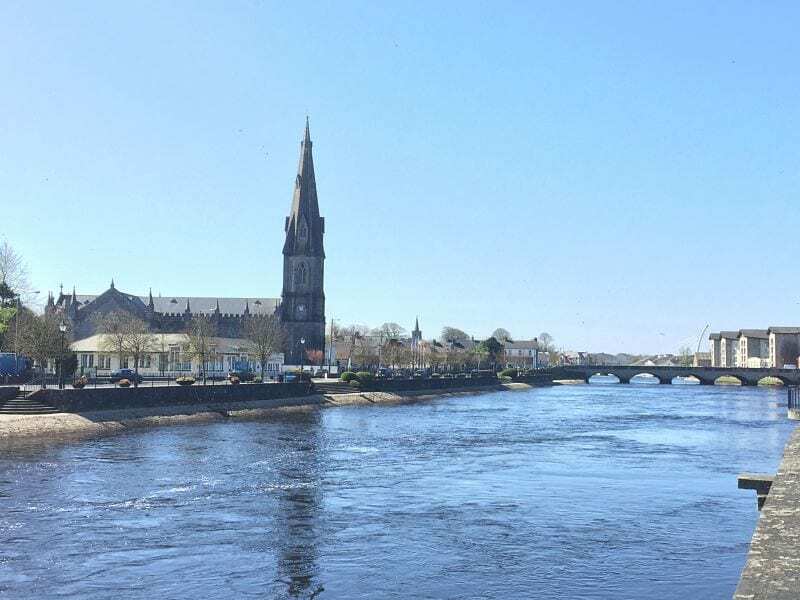 Also on Monday, Tuesday, Thursday and Friday enjoy an Historical Walking Tour of Ballina with Carmel Hughes, leaving at 11am from Ballina Tourist Office in Pearse Street. Midweek will be the highlight of the festival for visitors with National Heritage Day on Wednesday, 11th July. The highlight of the day features the talented and entertaining Garda Band playing live outside the Post Office Stage from 2pm to 4pm. Escape to a space of quiet and calmness during the National Heritage Day and visit St Muredachs Cathedral as Carmel returns providing two guided tours of St. Muredach’s Cathedral running from 2pm and again at 5.30pm. Keep the kids up and awake on Saturday 14th July, as Mayo’s biggest street party winds its way through town with magnificent floats, street theatre drumbeats and samba from 10pm followed by a spectacular fireworks display from along the river Moy and Ballina’s iconic and very special building St Muredachs Cathedral from 11pm. A full list of events and information about the festival is available on Ballina Salmon Festival website www.ballinasalmonfestival.ie with daily updates on the Facebook page too! Contact 096 80095 for further information.